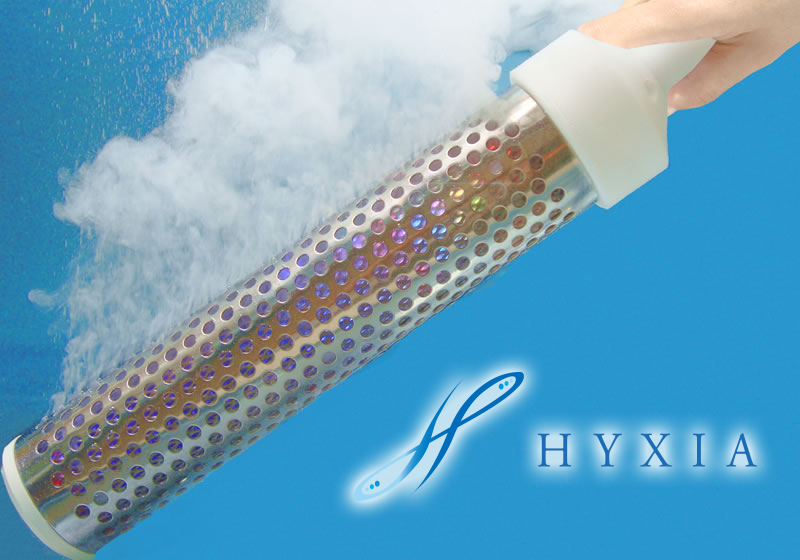 HYXIA is a hydrogen water generator developed by Syoken-Techno Co.,Ltd. 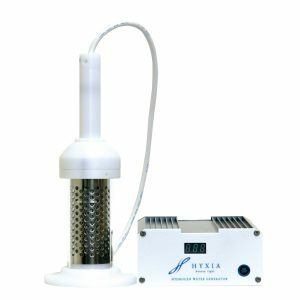 HYXIA uses the electrode structure, the patented technology owned by Chugoku Electric Power Co., Inc., making it possible to dissolve hydrogen efficiently into water.With HYXIA, you can enjoy fresh hydrogen water every day and incorporate it into your daily life. Safety Device Earth Leakage Protection Plug:Panasonic Co., Ltd.
Patent Owner Chugoku Electric Power Co., Inc. The electrode structure of this product uses the patent owned by Chugoku Electric Power Co., Inc.
Electrode Structure TANAKA KIKINZOKU KOGYO K.K. 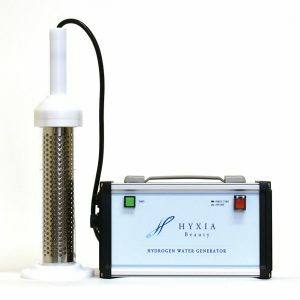 Hydrogen water generator for beverage purpose. 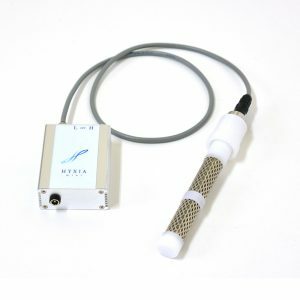 Rich-hydrogen water can be generated easily by dipping the stick area into the water either in a cup or a pet bottle. This can be used for beverage other than water and for warm drinks such as coffee.